In the past I never used gloves when doing home chores. I always felt like they were uncomfortable and simply slowed me down. As a full time mom I’m in the kitchen quite often, either cooking, washing dishes, mopping, etc. I’m always dealing with water and water is your nails worst enemy! Most recently, I visited my nearest supermarket in the hopes to find good gloves for chores. I then realized that the reason why I didn’t like those ugly yellow rubber gloves were because they fit really big on my hands. I found these pretty white Mr Clean ones (I’ve linked them here) which I only bought because they were a size small. When I got home I tried them on and OMG! They were so soft in the inside due to the ultra plush cotton lining. I now look forward to doing house chores.. jk! Aright, that’s step one- Avoid wetting your nails frequently. The next step is applying a nail hardener. I have tried dozens of nail hardeners and have only one I swear by. It’s called Esmalte Endurecedor para Uñas. It’s a product from Colombia and you can probably get it at a pharmacy (CVS, etc) or in Amazon. This polish is painful- let me clarify..
I’m not sure why the first time I used this polish it made my nails hurt so much! To the point where I had to soak them in ice water. Apparently, if you feel discomfort when applying the polish you're supposed to stop using it but my mom and a few friends used it too and they all had the same reaction. Since I wasn't the only one who had the experience, I continued to use it because you know what they say..'No pain, no gain'..
Now that step two is done- let’s move to step three. 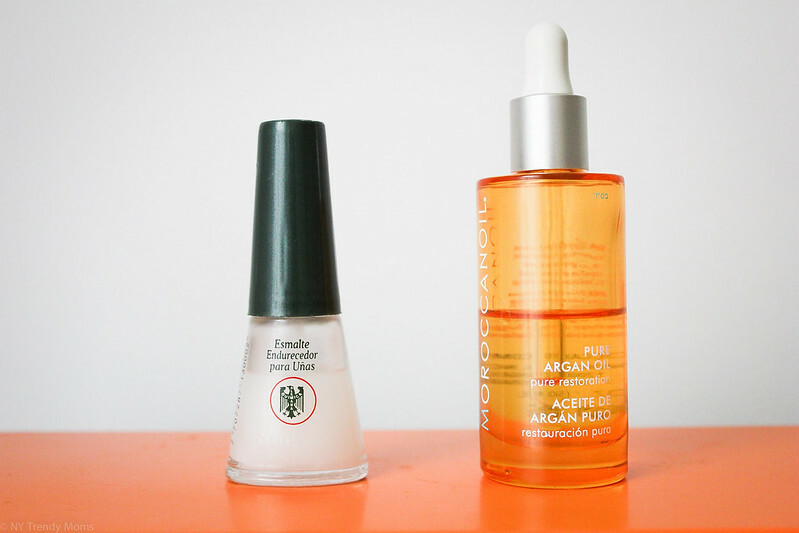 Before bed I love applying 100% pure Argan oil to my nails (I’ve linked my favorite here). This daily oil application gives my nails the moist it needs without being harmful. 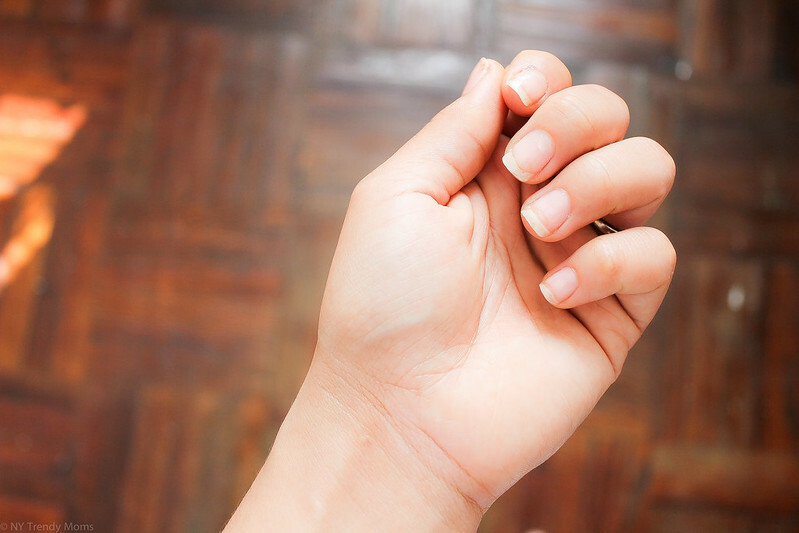 I’ve been doing this for months and have noticed that without this oil my nails wouldn’t be growing as fast as they are. If you liked this post or have any questions tweet me @NYTrendyMoms. 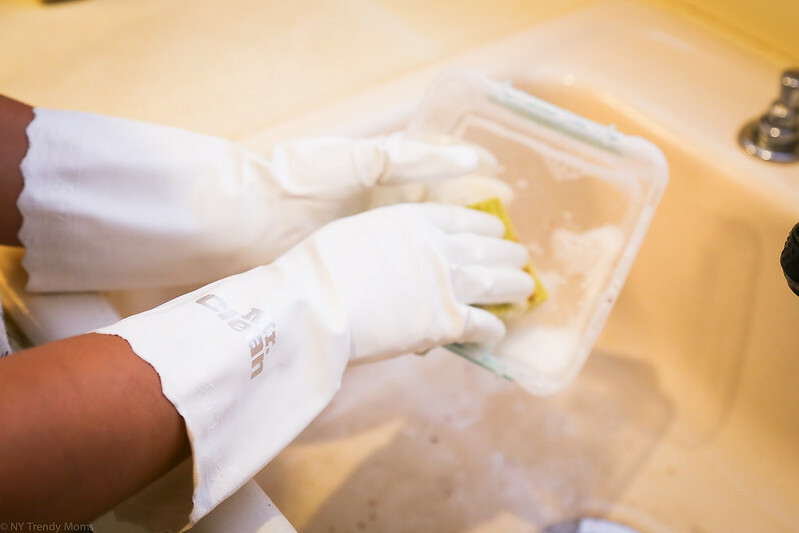 I always, always wear gloves to do dishes. I learned it from my mom, she would sit at night and paint her nails and would always wear gloves. Great post!